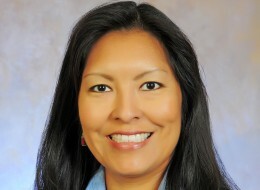 The Senate confirmed Diane Humetewa to the U.S. District Court for the District of Arizona, making her the first-ever Native American woman to serve on the federal bench. WASHINGTON — The Senate quietly made history on Wednesday night when it confirmed Diane Humetewa as a federal judge — the first Native American woman to ever hold such a post. The National Congress of American Indians celebrated Humetewa’s achievement. SANTA CRUZ, Ariz. The swath of land in southern Arizona that bleeds into the northern Mexican state of Sonora is a sprawling, largely uninhabited, desert divided by mountains and spotted with shrubs. Driving down dusty roads with a punishing sun overhead, it seems almost lifeless. But this region is home to the Tohono O’odham Nation, a tribe of 25,000 people, who have shared the land with the road runners, mountain lions, jaguars and wolves for over 6000 years. In 1853 the US Mexico border was redrawn, effectively cutting the O’odham Nation in half. This border itself did not present grave consequences for the tribe, however, until the late 1990s, when the US Border Patrol developed a new strategy for Border enforcement in the southwest. At that time, operations Gatekeeper in San Diego, Hold the Line in El Paso and Safeguard: Arizona in Nogales shifted enforcement to urban areas. The object was to force migrants into desolate desert regions, where they would either be deterred by the terrain or easily apprehended in open spaces. The only thing that’s changed, however, is where migrants are crossing. The narrow corridor they have been edged into goes right through the Tohono O’odham reservation. This land is also where the proposed border fence would be built, isolating the communities of O’odham people on either side of the fence and threatening the animals and vegetation of the biologically diverse Sky Island region. Tribal members and environmentalists there are not concerned with the politicized issue of undocumented immigration to the United States. Their concern is the preservation of the culture and habitat that have flourished here for thousands of years and now face decimation by the construction of a wall. Every October, O’odham tribal members make a pilgrimage from the US side of their land to Magdalena, Sonora in Mexico side as part of their annual St Francis festival. The procession is part of a larger event, with music, food and dancing and is their largest tribal festival. Increased border enforcement in the past twenty years has restricted this movement, but they still made the annual procession. Until this year. On October second, the electrical lines to an O’odham community in Mexico were cut, leaving them without power. A tribal member decided to drive to the US side to get some generators so the celebration could go on as planned. As he was driving, his truck was shot at. The man’s sister, Ofelia Rivas, along with most tribal members, is convinced that the cut lines and the shooting are related, perpetrated by drug smugglers who have set up operations on O’odham land and are trying to intimidate the residents. Then another Border Patrol truck pulled up and the agent accosting Ofelia put his gun in his holster. They were promptly let go. The terrain in this corner of the continent is referred to as the Sky Island Mountains. The name alludes to the natural phenomenon of lush, vegetated mountains surrounded by a sea of desert. It is considered the most biologically diverse region in North America, connecting desert, tropics and mountains. Matt Skroch is the executive director of the Sky Island Alliance, a non profit organization which dedicates itself to the preservation of the region. Most of their energy now is spent trying to raise awareness to the importance of what they call “wildlife connectivity” across the border, which he says would be devastated by the construction of a wall. Sergio Avila, a wildlife biologist for the Sky Island Alliance, uses the example of the jaguar — an animal native to the region — to explain his position. The Pascua Yaqui Tribe in Arizona is making history. Nearly 40 years after the U.S. Supreme Court ruled in Oliphant v. Suquamish Indian Tribe (1978) that American Indian tribes did not have jurisdiction over non-Indians who committed crimes on reservations, the Pascua Yaqui are preparing to try as many as 10 non-Indians alleged to have committed domestic violence crimes on their reservation. 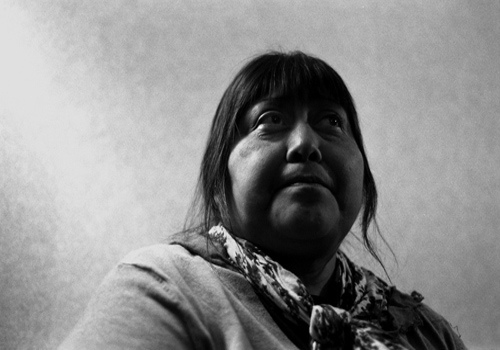 The stats for crimes against women in Indian country are appalling. A Department of Justice report states that American Indian/Alaska Native women are significantly more likely to be raped, physically assaulted and stalked than are white women. If, on an Indian reservation, that abuse was committed by a non-Indian, tribal law enforcement was not authorized to arrest the perpetrator and tribal courts did not have the jurisdiction to try him. Both arrest and prosecution were the responsibility of the federal government. But these are such challenging crimes to successfully bring to justice, federal resources are seldom deployed to deal with them. 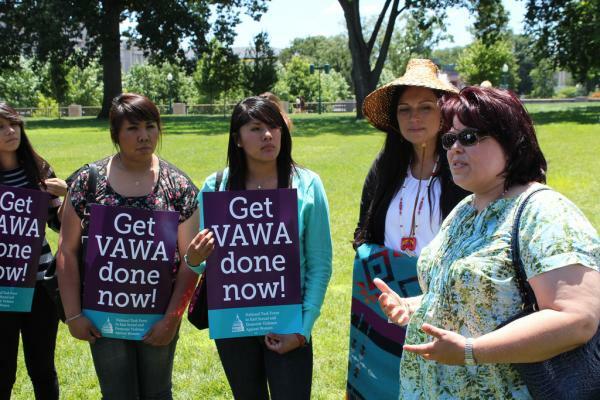 The Tribal Law and Order Act of 2010 and the Violence Against Women Reauthorization of 2013 radically changed that. Under VAWA Indian tribes will have jurisdiction over non-Indians who commit domestic violence crimes on reservations. The law will go into effect for all tribes in March 2015, but the Justice Department in February designated three tribes – the Pascua Yaqui Tribe, the Confederated Tribes of the Umatilla Indian Reservation and the Tulalip Tribes of Washington – for a pilot program that allows them to exercise the authority immediately. Listening to Pascua Yaqui Tribe Chief Prosecutor Alfred Urbina describe what has gone into this moment makes “a lot of energy” seem like an understatement. Urbina detailed some of the issues the tribe has had to deal with and what has been learned in an effort to help other tribes put their justice systems in order to begin prosecuting these cases. “The ability to prosecute non-Indians for domestic violence brings up a lot of questions for the tribe,” he says. Urbina explains that there have been 11 recent incidents on the reservation with American Indian victims and non-Indian suspects; some are still in investigation or waiting for warrants to be served, while some are in the process of being prosecuted. The first trial is scheduled to begin August 19, but some cases could be resolved through plea agreements before that. Demographics are critical to predicting how many cases tribes will need to prepare for. So is location – whether or not the reservation is near an urban center or a major highway. Among the questions tribes will have to address is: Who is actually living in tribal housing? The perception is that tribal members live in tribal housing, but there are probably other people as well, especially if there are a lot of single mothers, says Urbina. Other questions shed light on matters such as – What is the composition of law enforcement on the reservation? Do people trust law enforcement? Urbina explains that if people have seen non-prosecution of DV cases for many years by both tribal and federal authorities, distrust may have built up and this will affect the success of the cases the tribe brings to trial. How does the tribe get a warrant served off-reservation and the suspect extradited back to the reservation for trial? What if a suspect does not speak English—will an interpreter be available for court proceedings and for conferring with an attorney? One compromise that had to be made to get the law passed was that the attorneys and judges in cases where whites are being tried have to be state-licensed. This brings up the question of access. How will public defenders hired by the tribe have access to their clients on rural reservations? And that in turn brings up the question of costs—of public defenders, judges, travel, housing of both legal personnel and of those being held for trial and medical care for prisoners. These are issues that if not handled correctly could lead to federal appeals on constitutional grounds, Urbina explains. Urbina estimates it could cost up to $500,000 for a tribe to get their justice system set up to meet the prerequisites to prosecute non-Indians for domestic violence crimes. “The process will be out of reach for some tribal governments without significant assistance from the federal government, but in order to get this law passed, no money was appropriated for that purpose,” says Urbina. Rep. Jamescita Peshlakai, D-Cameron, said one way to start would be adopting new names honoring Native American veterans for portions of highways that pass through Navajo and Hopi land in northeastern Arizona. They are U.S. 89, U.S. 160, State Route 264 and Interstate 40. She said the designations would help connect tribes and the rest of the state. She introduced four memorials this year that would urge the Arizona Department of Transportation to make these changes: for U.S. 89, Native American Veterans Highway; for U.S. 160, Native American Women Veterans Highway; for State Route 264, Native American Code Talker Highway; and for I-40, Navajo Code Talker Trail. 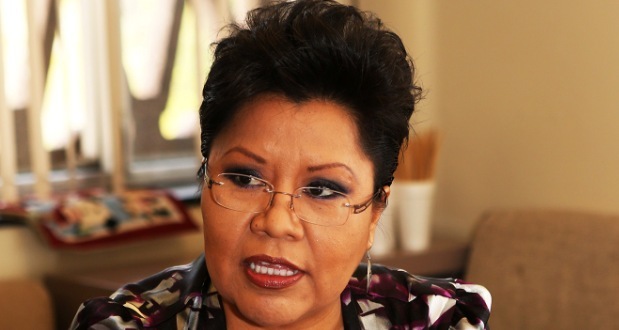 While the measures weren’t heard in committee, Peshlakai said she will urge U.S. Rep. Ann Kirkpatrick, D-Flagstaff, to work in Congress to have I-40 between the New Mexico state line and Flagstaff designated as Navajo Code Talker Trail. Jennifer Johnson, communications director for Kirkpatrick, said that while she couldn’t comment on Peshlakai’s proposal to the state Legislature the congresswoman supports efforts to honor Native American veterans. “Native Americans have served our country in a higher proportion than any other group. So there’s more Native Americans, percentage-wise, than any other group or subset that you could slice out,” Johnson said. In 2003, Gov. Janet Napolitano signed legislation to designate I-40 through Arizona as Purple Heart Trail. Peshlakai said doesn’t intend to appear disrespectful to that designation by taking the issue to Kirkpatrick. “It might just be a small strip between Winslow and Flagstaff, but I just don’t know. I would have to really talk with her,” Peshlakai said. Terry Hill, a retired Army command sergeant major who serves as committeeman for the Show Low-based White Mountain Area Veterans of Foreign Wars, said that while he would love to see Native American veterans honored he wouldn’t want the designation Purple Heart Trail removed from any stretch of I-40. “Somebody would have to really talk to me and give me a good argument for the VFW to support it,” he said. Hill said designating part of the road as both Navajo Code Talker Trail and Purple Heart Trail might be acceptable. In a statement shared by a spokesman, Navajo Nation President Ben Shelly noted that New Mexico’s Route 264 is already called Navajo Code Talker Highway. “I do support all veterans, men and women because I have veterans in my family,” he said. Rick Abasta, the Navajo Nation’s communications director, said he believes Shelly would support renaming part of I-40. • Navajo Code Talker Trail: Interstate 40 New Mexico and Flagstaff. • Native American Veterans Highway: U.S. 89 between Utah and Flagstaff. • Native American Women Veterans Highway: U.S. 160 between New Mexico and U.S. 89. • Native American Code Talker Highway: State Route 264 between Tuba City and Window Rock. (Survival International-Associated Press) – This July 2013 photo released courtesy of Survival International shows Hopi tribal elder Lawrence Keevama, left speaking with French attorney, Pierre Servan-Schreiber, center and Sam Tenakhongva, Hopi Kachina Society leader, at the Hopi tribal offices in Flagstaff, Ariz.
FLAGSTAFF, Ariz. — Two dozen ceremonial items bought last year at auction in France are set to return to Arizona in a way that pays reverence to the beliefs of American Indian tribes. The masks and hoods invoke the ancestral spirits of the Hopi and Apache Tribes — who consider them living beings in keeping with tradition — and the expectation is they will be treated as such. That means shipping the sacred items free of plastics, bubble wrap or other synthetic material that would be suffocating. The items also should face the direction of the rising sun, have space to breathe, and be spoken to during their journey. The shipping reflects the deeply sensitive nature of the items that the Los Angeles-based Annenberg Foundation quietly bought for $530,000 at a contested Paris auction two months ago with the goal of sending them back to their tribal homes in eastern Arizona. The Hopi and two Apache tribes believe the return of the objects, kept largely out of public view, will put tribal members on a healing path and help restore harmony not only in their communities but among humanity. “The elders have told us the reason we have the ills of society, suicides, murders, domestic violence, all these things, is we’re suffering because these things are gone and the harmony is gone,” said Vincent Randall, cultural director for the Yavapai-Apache Nation. The tribes say the items — 21 pieces are headed to the Hopi, two to the San Carlos Apache and one to the White Mountain Apache — were taken from their reservations in the late 19th and 20th centuries at a time when collectors and museums competed for sensitive items from Western tribes. Tribal archaeologists say the objects also could have been traded for food and water, or unrightfully sold. In Hopi belief, the Kachina friends emerge from the earth and sky to connect people to the spiritual world and to their ancestors. Caretakers, who mostly are men, nurture the masks as if they are the living dead. Visitors to the Hopi reservation won’t see the masks displayed on shelves or in museums, and the ritual associated with them is a lifelong learning process. 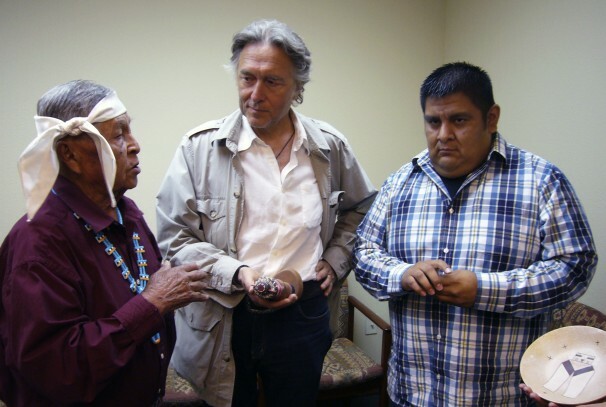 The San Carlos Apache recount a story of ceremonial items being wrenched from the hands of tribal members who were imprisoned by the U.S. military at Fort Apache. Journal entries from the time showed that hoods, as well as medicine bundles and other prayer items akin to crosses and holy water were taken, said Vernelda Grant, director of the Historic Preservation and Archaeology Department for the San Carlos Apache Tribe. For the San Carlos Apache, the hoods represent the mountain spirits reincarnated in men who make and wear them in ceremonial dances for healing or when girls reach puberty. Each is fashioned by a tribal member endowed with a gift of being a spiritual leader. Once the hoods have been used, they are put away in an undisclosed location in the mountains, known only to the spiritual leader through a revelation from the “ruler of life,” or God. If they are disturbed or removed, a curse of sorts can be placed upon humanity, Randall said. Although the Apaches are among the most successful tribes in getting items within the United States returned to the tribes, they could do little to stop the sale in France. The auction house argued that the items rightfully were in private collectors’ hands. A judge hearing the Hopi’s plea to block the sale said that unlike the U.S., France has no laws to protect indigenous peoples. In a similar dispute in April, a Paris court ruled that such sales are legal. Around 70 masks were sold for some $1.2 million, despite protests and criticism from the U.S. government. The Annenberg Foundation took note of the Hopi Tribe’s heartbreaking loss and in December employed a well-orchestrated, secretive plan to successfully bid on most of the items at auction. The plan involved foundation employees placing bids by phone and keeping its plan private to save the tribes from potential disappointment. A French lawyer working for the Hopis and Survival International, Pierre Servan-Schreiber, said he spoke with the foundation using a discreet earpiece to keep the objects’ prices from skyrocketing as he bid on behalf of a U.S. benefactor. “This is how we achieved this brilliant result,” Servan-Schreiber said in an email. The foundation said it has complied with the tribes’ shipping requests to ensure the items are treated with care and respect. Those requests include shipping the items in specially designed, individual crates, turning them in a clockwise direction and entrusting them to the hands of men. Should the items be handled contrary to Hopi and Apache practices, the tribes asked the foundation to apologize to the spirits and explain that it’s not intentional. Two of the Hopi items, which have golden eagle and cooper’s hawk feathers, will require import permits from the U.S. Fish and Wildlife Service because the birds are protected under federal law. The sacred “Crow Mother,” which sold for twice its expected value at $171,000, requires an export permit from the French government, the foundation said. U.S. Customs and Border Protection said it also would comply to the extent possible as the items enter the United States. “It gives me immense satisfaction to know that they will be returned home to their rightful owners, the Native Americans,” said the foundation’s director and vice president, Gregory Annenberg Weingarten. When the items reach the tribes after traveling overseas from France and to Los Angeles, there will be no extravagant celebrations — just quiet exaltation in knowing that their ancestral spirits will return to the mountainous areas of the San Carlos Apache reservation and to the hands of caretakers in Hopi villages. 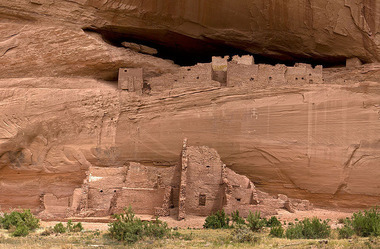 In Canyon de Chelly, Ariz., Navajo people used the sun’s energy in their vernacular buildings. Staten Island, N.Y. — It is possible to live in a building that is less dependent on oil delivered energy. In principle, the form of a building and its composition can capture a great deal of solar energy; adding, foremost, comfort to our daily routines and reducing fuel consumption. The solar radiation allowed into the building can be managed to immediately, or at a later time, warm spaces in a way that hot air systems or water filled radiators cannot offer economically, or environmentally. Passive solar energy is not new. In fact, it has been used throughout history. Native Americans in the canyons of Arizona would use the southern cliff exposure of a canyon to heat their adobe buildings cleverly placed in caves just so that the low winter sun angle would soak them with sunlight while the summer angle would be higher and therefore missing the buildings. Tracking the sun was part of life; many activities were dependent on the seasons and the sun path. Civilizations worshipped the sun for its power to generate and sustain life. Although the reverence toward our star is not the same, the beliefs of earlier man still hold: A building is a receptor of energy and light. Its orientation is the most important factor to observe when planning a house. A properly oriented south facing wall will, with sufficient fenestration, allow solar energy to enter the building envelope and warm the interior. To control this energy, storing heat for night use or limiting its entry in summer months requires the use of materials with great mass and canopy systems that block sunlight from entering into window openings. Ceramic tiled floors or even concrete can absorb great quantities of sun energy during the day (thermal mass) and release it in the night hours passively repeating the cycle without failures. Exterior canopies designed to block the summer high angle sunlight from entering, similar to American Indian canyon architecture, are a necessary feature of a passive solar house. The building components of these homes and how they operate, are slightly different from what we are accustomed to. A basic knowledge of solar energy and its impact on buildings is probably most anyone will need to live in and operate a passive solar home. The daily heating cycles will repeat without human intervention. Sizing of components such as windows, insulation, storage mass and canopies requires a professional. Because of their lack of moving parts, they will function for a long time without maintenance. However, even the most well designed and properly sited solar building should not be without a conventional heating system. It will most likely be used sparingly with many savings. Officials in Arizona are planning to set up separate voting systems for state and federal elections after losing to tribal interests in Arizona v. Inter Tribal Council of Arizona, a voting rights case that was decided by the U.S. Supreme Court in June. By a 7-2 vote, the court held that certain provisions of Proposition 200, a state referendum, are pre-empted by federal law. That means the state can’t ask people to prove their U.S. citizenship when they register to vote. 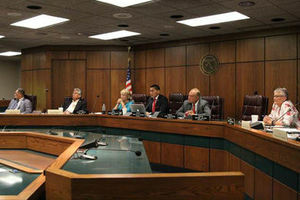 Arizona officials, however, say the ruling only applied to federal elections. So anyone who wants to register to vote for state elections must prove they are U.S. citizens. The change could affect the voting rights of tribal citizens who were born in the U.S. but lack proper documentation. That was one of the key issues raised by the Inter-Tribal Council of Arizona in the Supreme Court case.